This sub-$100 USD smartphone will be sold exclusively online, via Amazon India and Mi.com, starting on March 23. Its specs include a Snapdragon 425 processor, 2 GB RAM, and 16 GB internal storage. Xiaomi Redmi 4A was released back in November, when it made its debut in China, alongside the Redmi 4. This week, this Snapdragon 425-powered smartphone is scheduled to go on sale in India, where it will be available for purchase exclusively online. The hardware of the Redmi 4A is not impressive, but it surely does not disappoint considering its price tag. 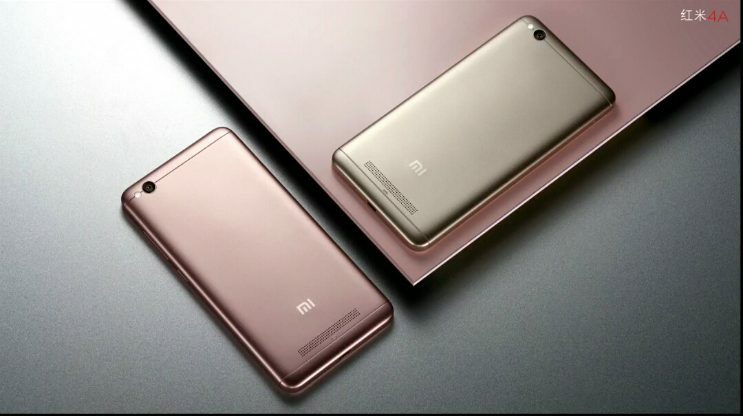 The list of highlights includes a Qualcomm Snapdragon 425 processor, 2 GB RAM, 16 GB internal storage, microSD support up to 128 GB, 5 MP and 13 MP cameras, a 3,120 mAh battery, and Android 6.0 Marshmallow with MIUI 8 on top. While the Xiaomi Redmi 4A lacks a fingerprint reader, it has an IR blaster that allows its user to employ it as a TV remote. The colors available are gold and dark gray (available on March 23), as well as rose gold (April 6). Sadly, those interested to grab it offline cannot do that, since Xiaomi has decided to sell this smartphone in India only online.